You know when you see a yummy recipe and you think, hmm... I'd love to make that! And tweak it! And EAT IT! Well that's how this one came to life. The best part - No Flour! These babies are Gluten and Nut Free. They can easily be made Dairy Free too. Check it out! I have been seeing a recipe by Keeping Up With The Joneses circulating on Pinterest for quite sometime now. After reading some of the comments and deciding I wanted to take a whack at it, I decided to put my own spin on the muffin, with no added sugar (in the muffin itself) plus ground flax. Okay so truth, I probably wanted to try this so badly just to have an excuse to use my new KitchenAid Food Processor again I just got for Christmas, hehehe! This shot is during the processing/ blending step of the recipe. Make sure to scrape the bowl in between to get all those oat bits off the sides so they can get ground up for the yummy batter. I first made the muffins plain and I loved them. To me they were a great muffin to have with my morning coffee or hot tea. 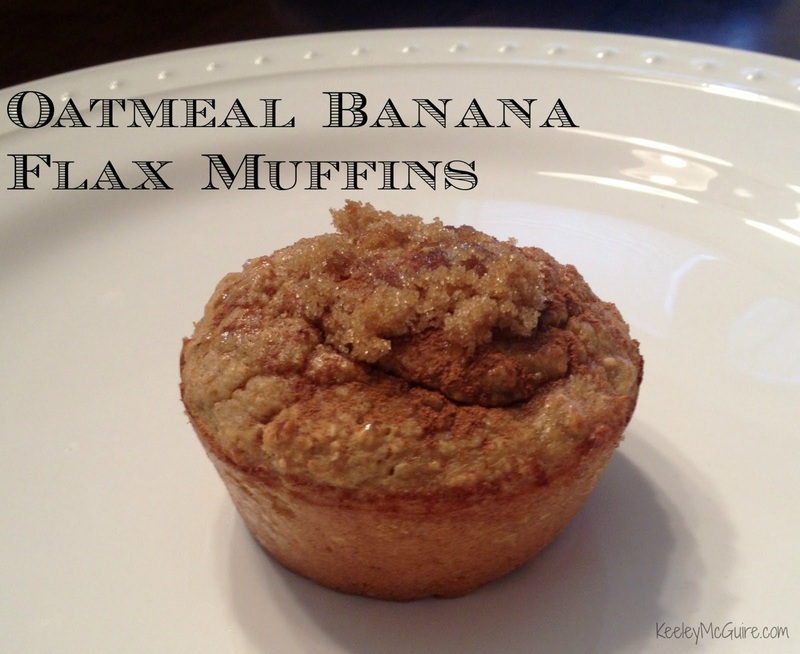 Not sweet, just like having a bowl of oatmeal in a handy to-go muffin. 1. Preheat oven to 400 degrees. Spray muffin tin with cooking spray and set aside. 2. 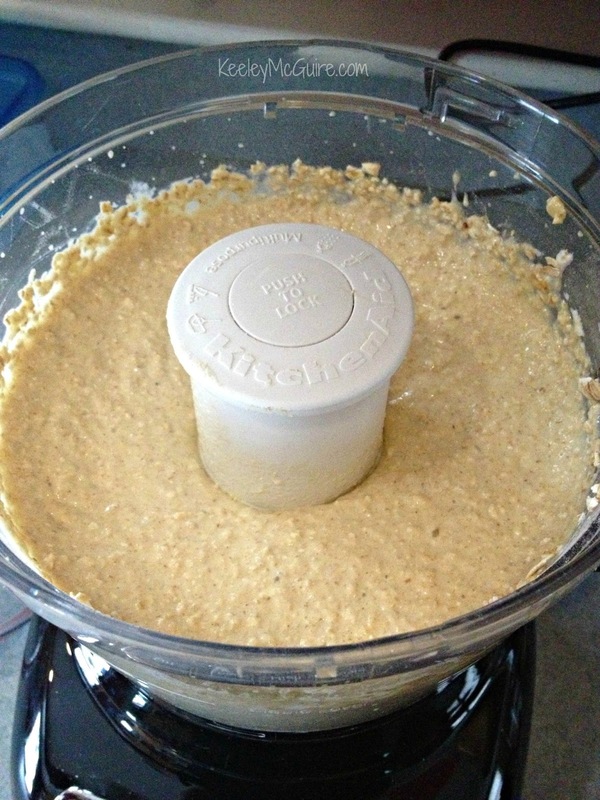 Place all of the ingredients EXCEPT for the oats in a blender or food processor. Process on low for one minute. 3. Add Oats one cup at a time. Process until smooth batter is formed, scraping bowl in between to make sure no oats stick to the sides. 4. Spoon batter into the tin cavities and fill each completely. 5. Bake for 15-18 minutes, if you don't want to add the topping. 6. If you DO want to add the topping, pull muffins from oven at about 12-13 minutes in. Add just one dab of honey to the top of each muffin then spread over them gently with a knife. Sprinkle ground cinnamon and brown sugar on each, then return to over for 5 minutes. 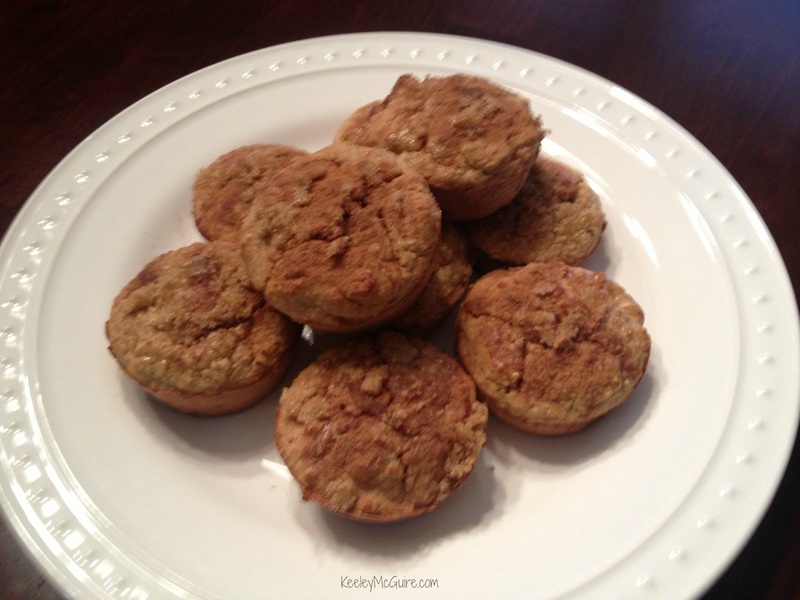 These muffins are dense, but oh so enjoyable when warm! Mmm, like a bowl of oatmeal in a handy muffin. Keeley, this recipe is awesome! I love everything in it and I love using my food processor :)) Can't wait to try. I have brown bananas on my counter that I was going to make something with today, but I wasn't sure what to make. I'm sure my kids will thank you too after school. Muffins are a nice snack. These look yummy!